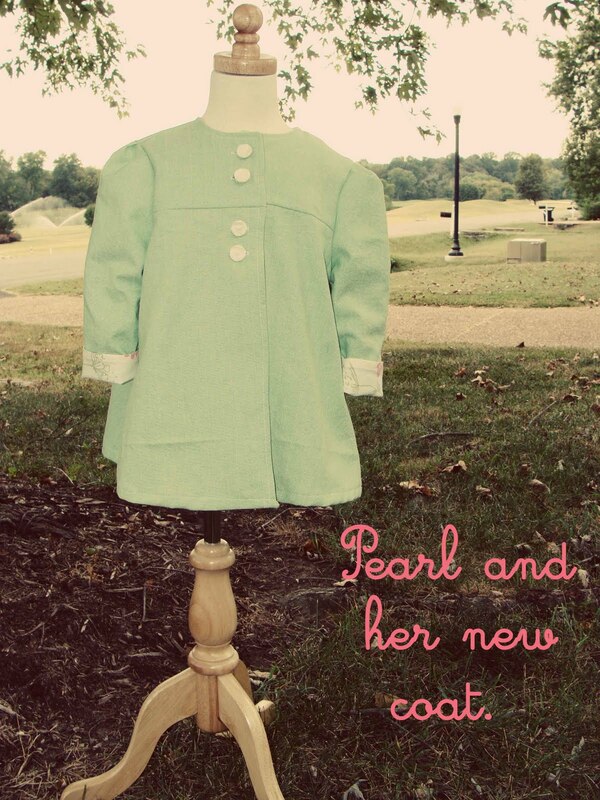 Our Lovely Nest: Pearl and her new coat. Meet Pearl. We just adopted her yesterday. She's a beauty. Here she is wearing her new coat. It was made by yours truly from scratch...from the stash...! One part green fabric that I've had for ages, and one part vintage floral sheet + 4 vintage buttons = pearl's coat. 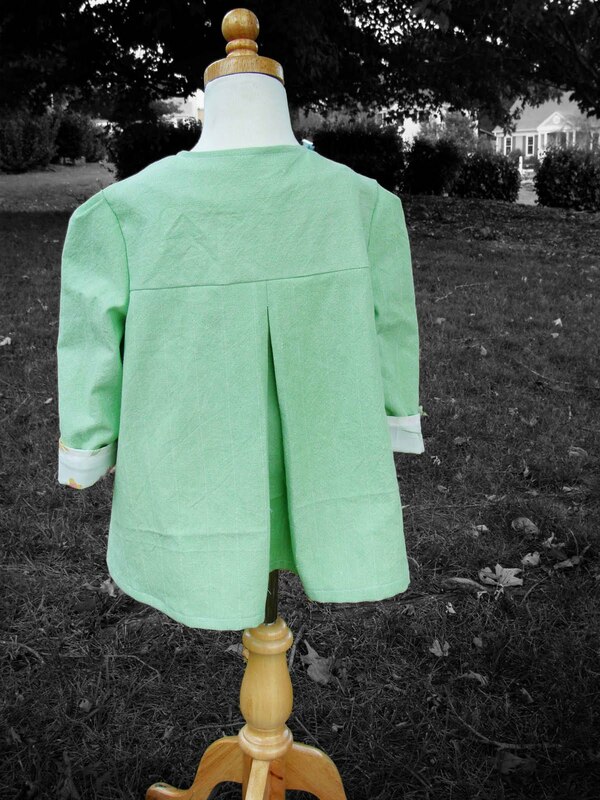 The back with an almost 4 inch pleat. So cute. Here she is again, in all her glory. Now the only question is: Pockets or no pockets? I had the pockets on... but then took them off... now I need some advice. Pockets or no pockets... and if pockets are the verdict, which ones??? See below. 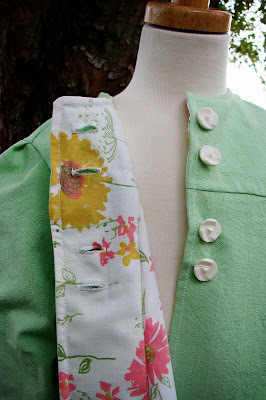 Floral pockets?? Or green?... Hmmm, I can't decide. What do you think? 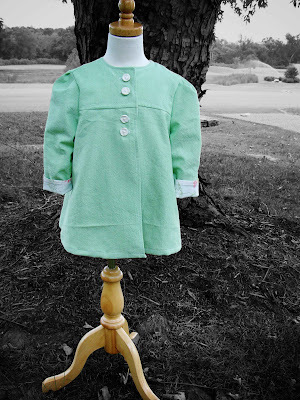 Ok, truth is, I made this coat for Harper, but don't tell Pearl, she really likes it and thinks it's her color. I've got to break the news to her sometime, but maybe I'll wait just a little while... since she's new to the family and all... I want her to feel welcome here, you know. So... pockets or no pockets? Pearl isn't giving me any indication what-so-ever... so I turn to you. I love it! 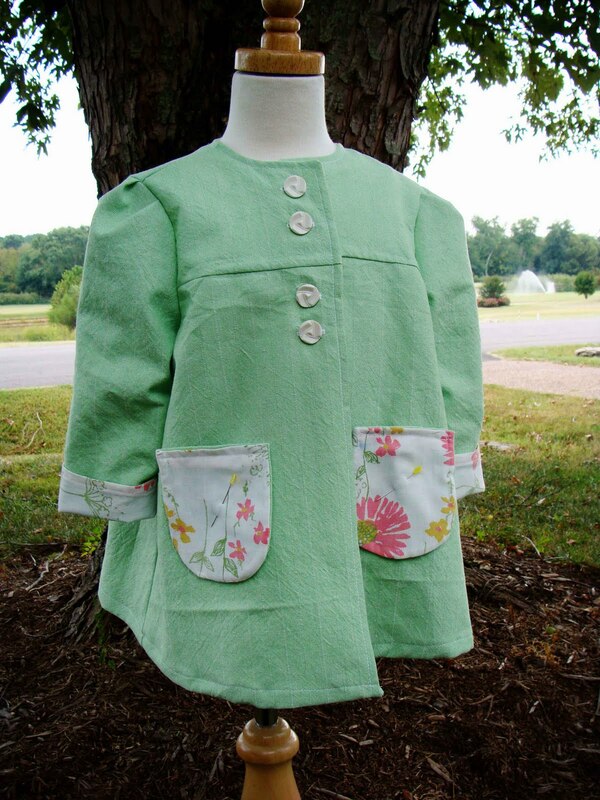 I vote for no pockets, Naomi votes for green pockets. You are very talented and inspiring me to do more sewing! I am definitely in the pocket camp. You know how little people love to collect things and need a place to put them. Why not have the green pockets with a little band at the top of the coordinating fabric? Or am I getting a little too much Project Runway here?!!! Love you and your work. 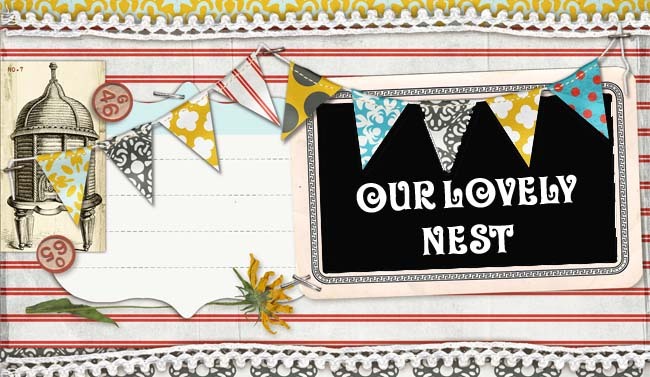 Congrats on Front Page Etsy Number Two...many more to come I am sure! 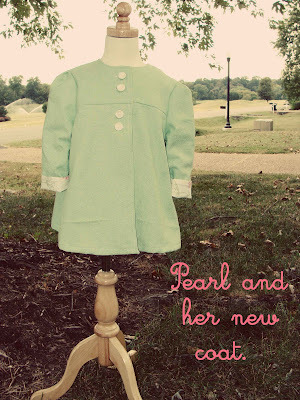 I vote green pockets, and make Harper and Pearl share the coat. After all, thats what being part of a family is all about.